Discussion in 'Badminton Stringing Techniques & Tools' started by Chan1011, Apr 10, 2017. 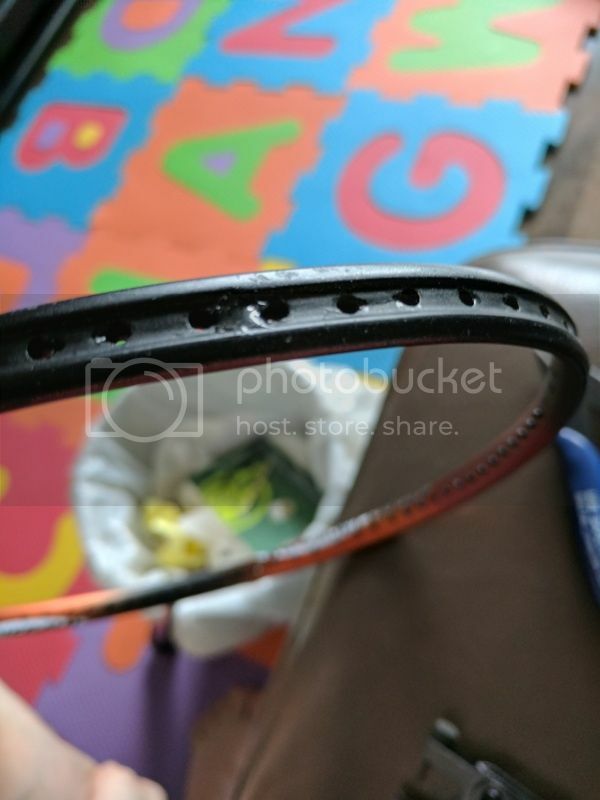 Background - client had a racket that other stores refused to string, from the looks of it previous stringer did not replace grommets and strung on bare frame and caused damage, also might be too high of tension. 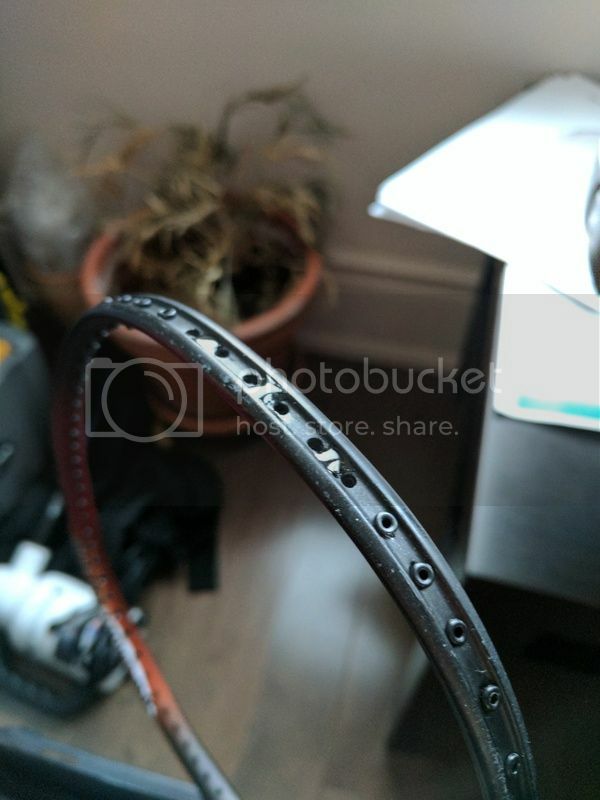 Solution - Offered to try and repair and replace grommets free of charge, and just pay for stringing service, no guarantee's but might be able to salvage for casual use rather than throw into garbage. Grommets first, so many were missing, poorly installed, or damaged. 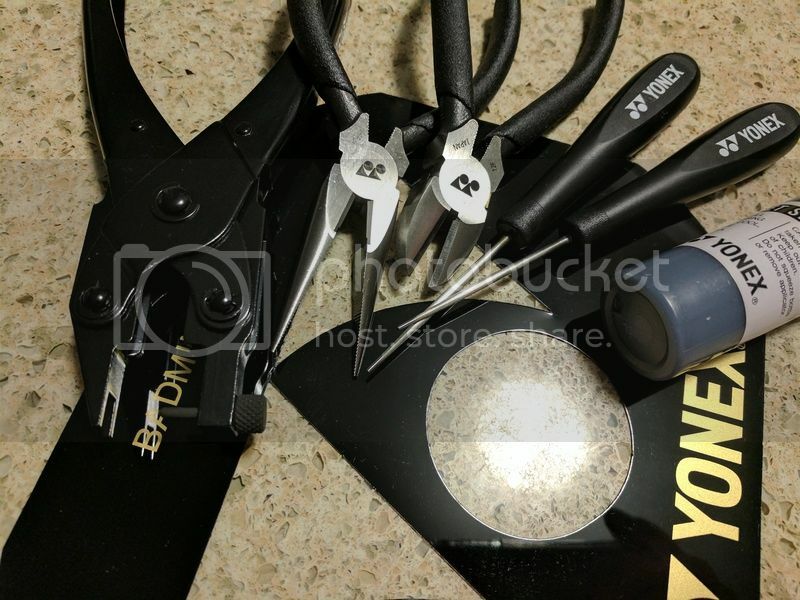 Having the Yonex remover makes life easy! 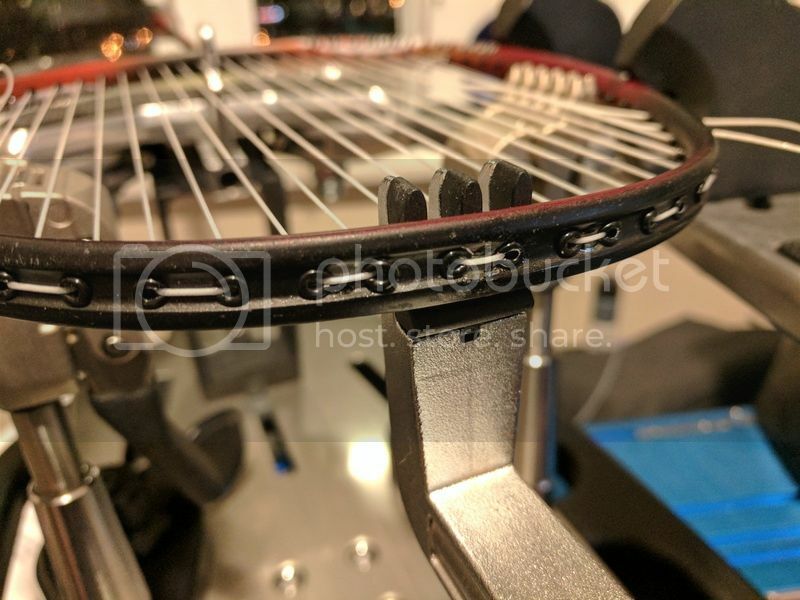 Upgraded bottom first 4x main holes to U shaped grommets instead of single ones, this should honestly be standard even for the low-end rackets. Shared grommets replaced and flared properly with my home-made solution inspired by people on this great forum! Center main gap had very deep damage, and I filled this in with quick-setting epoxy. Smaller damage to the left and right can also be seen. Epoxy reinforced in all three bridges, I let everything cure for 2 days. Mains pulled at 20 lbs + 10% pre-stretch, crosses at 22 lbs + 10% pre-stretch. It didn't collapse, but the edge of the epoxy did pop-up a bit. Racket completed without issues, waiting for Client feedback on how it plays! Cheung, s_mair and DarthHowie like this. Why are your crosses less than your mains? Oh sorry my numbers are backwards, I will fix that, it's 20 lbs main x 22 lbs cross. 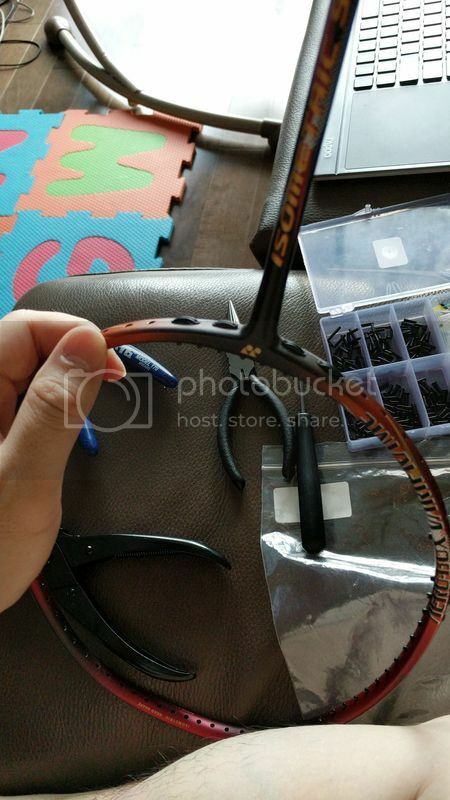 Do you mean the grommet flaring tool? 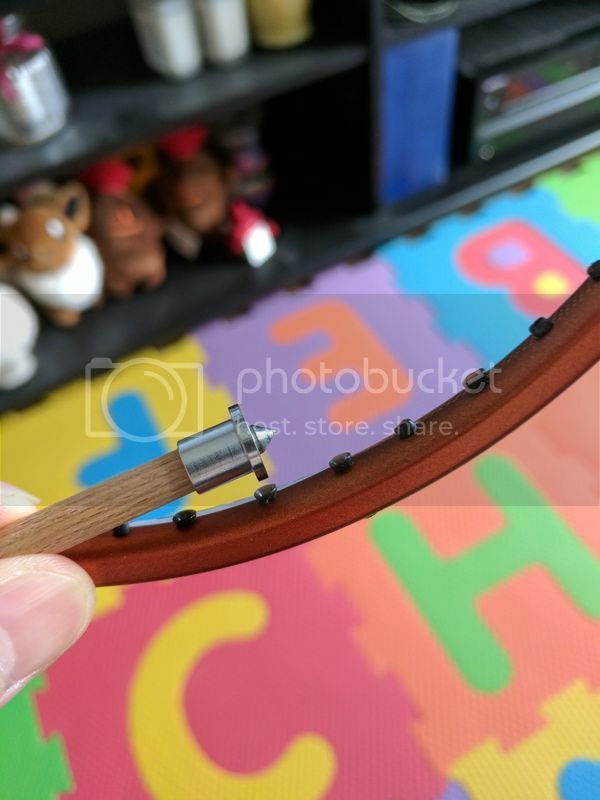 Then I put that on top of the wood with a piece of paper so it fits snug, then to flare the grommets, I hold it on top of a candle for 10 seconds or so, and press, just be careful not to overheat. kakinami and thyrif like this. Nice DIY tool you made. No idea, the set I bought has various sizes, I used the fattest one so the flare is wider. 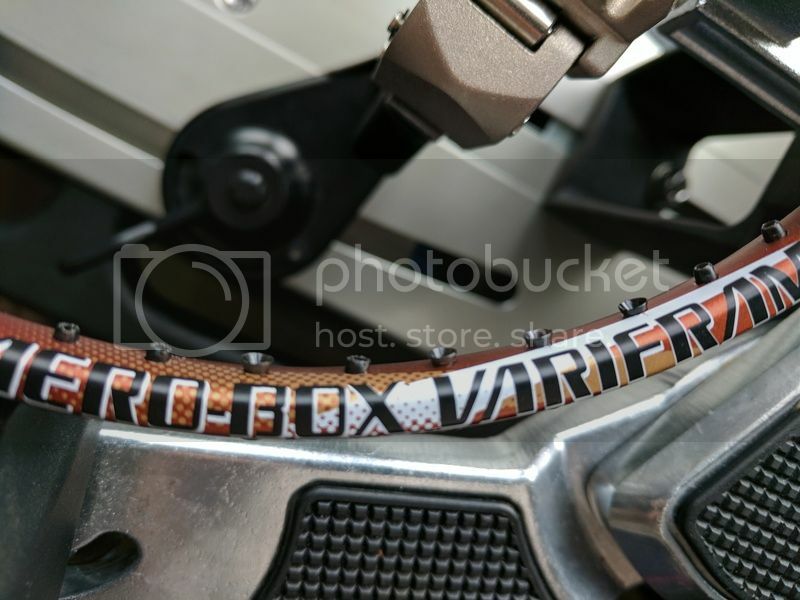 Chan, could you please update pictures on your post?